the perfect company to help you online? In the highly competitive world of business, there are millions of websites swirling on the internet belonging to various business domains. It is a fact that most of these websites, either built in-house or by engaging services like website design services in Mandurah, remain unchartered by their end users and do not quite address the requirements of their business segments. The reason they remain unchartered by their end users is their lack of visibility on search engines. Since search engines are the primary digital interface that users come across while searching for specific pieces of information, products or services, a website, in order to gain the traction of users, should appear high on the Search Engine Result Pages or SERPs. So, how to make it happen in the first place? SEO or Search Engine Optimisation is the technique using which your website’s online visibility can be enhanced on the organic or natural section of the SERPs. Should your target users find the website in the top section of the SERPs, the likelihood of it being accessed by them remains high. So, accessing your website on the SERPs is arguably the first step when it comes to looking for information or seeking your products or services. It has a direct bearing on increasing sales and achieving ROI by your business. In addition to the above mentioned points, SEO can help your website in the following ways as well. Quantifiable: SEO provides the ways and means to track and analyze your website traffic. Thanks to tools such as Google Analytics, the SEO team can understand the position of the website vis-a-vis its competitors and address the quality issues. Each and every business related metrics can be tracked and analysed using customised reports. Thereafter, suitable strategies can be undertaken to improve the performance of the website. Cost effective: When compared to traditional marketing, digital marketing using SEO is relatively cheap. There can also be a better targeting of your demography based on location, gender, occupation, purchasing power, age groups etc. Add to that the expansive footprint an SEO campaign can offer – literally the globe, and you shall see how it is far ahead of traditional marketing. Better engagement: With internet enabled smartphones being lapped up by users across the world, local searches for information, products or services have become common. Local SEO can help optimising the properties of your website so that it becomes visible locally and get a better user traction. This involves optimising the on-page elements, citations, backlinks, knowledge graph panel, business listing and social media profiles. Link building: SEO encompasses checking the links within your website and ensuring each and every page, CTA buttons, or hyperlinked texts are connected and take users to the required page or piece of information. Also, the search ranking of your website can improve if it receives backlinks from websites with higher Domain Authority (DA) and Page Authority (PA). The SEO helps your website to create better backlinks. 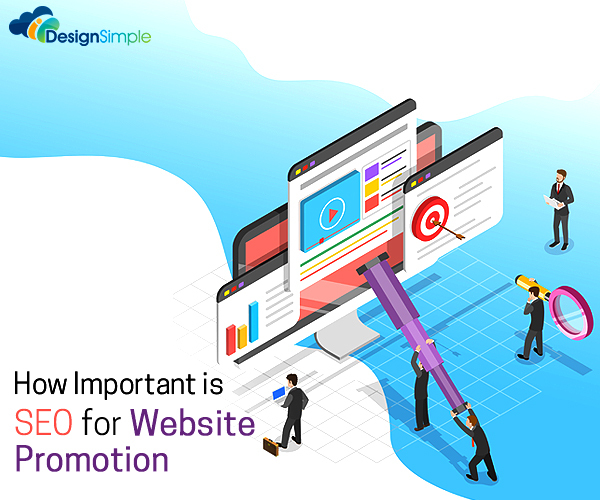 Your business website designed by any web development company must be marketed well in the online medium using SEO tools and techniques. This is needed to let your website and business garner better traction and user engagement, high visibility, increased sales, and higher ROI. How To Make SEO And Web Design Work Together?